Library staff and campaigners are joining forces to lobby Parliament – on Tuesday February 9th, just three days after National Libraries Day celebrations take place on Saturday February 6th. On National Libraries Day communities nationwide will celebrate public libraries, and why so many people use and value them every day. Three days later, it will be high time to focus on grim reality, says SUFL, the Speak Up For Libraries coalition*. Mass closures, service cuts and abandonment to volunteers are inflicting major damage to a service that is more popular than cinemas or football. Over 100 UK libraries were lost last year, and at least 441 have closed in the past five years. Another 149 are currently under threat. And the damage starts right at the top. Central government and local authorities alike are failing in their clear legal duty to provide a ‘comprehensive and efficient’ library service to all who want it. The reason: they simply don’t understand what libraries do. ‘Ordinary people have no trouble explaining how much they need libraries – and what a bargain they are. The problem is that decision-makers don’t listen,’ says Laura Swaffield, chair of The Library Campaign. ‘Libraries are vital services that deliver huge value to local communities every day. 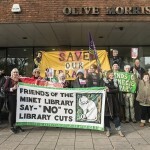 Cutting them is not only a false economy, it’s erasing people’s right to quality library services,’ says Nick Poole, chief executive of CILIP. On February 9, the day starts with a rally with speakers and videos. 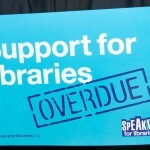 LOOK WHAT YOU’RE LOSING – SPEAK UP FOR LIBRARIES. Ministers and government, to issue statutory guidance and service standards for local authorities, and give libraries a secure future with central funding for development. MPs, to acknowledge that libraries are important to people – especially during a recession – and implement policy during the 2016 Parliament that underlines the statutory rights to a quality library service. ‘Libraries make a huge contribution to important policy objectives including literacy, health and wellbeing, community cohesion, economic growth and skills development,’ says SUFL. 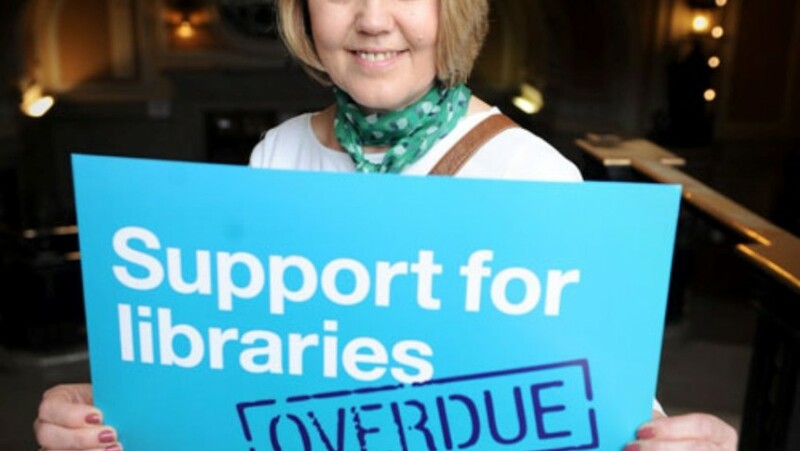 * Speak Up For Libraries: Campaign for the Book, CILIP (Chartered Institute of Library & Information Professionals), The Library Campaign, UNISON, Voices for the Library. The Library Campaign will consider giving lobbyists financial support for travel costs if they are otherwise unable to attend the lobby.